You've probably heard this New York band's newer album, Citrus, being played around. I listened to that one, but it didn't really grab me. However, I'm planning on giving it another chance after hearing their self-titled debut. This album is like a smörgåsbord of delicious post-rock and shoegaze goodness, and god bless the spellchecker for putting the dots above the o and a in that word. Under pressure, I'd say that the band sounds like a sort of poppier A Beautiful Machine, but that's reaching. Still, there are many soaring, roaring, wall-of-guitar moments throughout the album, with the sort of overdriven, twisted sound A Beautiful Machine and other extremely distorted psych bands cultivate. There's songwriting here, too, and while I can't say it's super good, it provides a welcome structure for the music, even though it gets a little too radio-friendly at times. The singer often uses Japanese, which I'm more used to than most due to listening to things like The Pillows, though it still vexes me. The cadence of the language doesn't work for me in this context, which is unfortunate but far from an insurmountable barrier. The first couple songs are good, but not really memorable - the chorus guitar blasts catch your attention from time to time, but the verse sections are pretty mundane. "Walk On The Moon" is more compelling, but overstays its welcome somewhat. "Let Them Wait" is a great, concentrated little song with more guitar than you could even hope for. "It's Too Late" is probably the highlight of the album - the longest song at over seven minutes, it's basically an example of soft-to-loud gone horribly right. Like old Mogwai, it teases you for a while but really pays off in the end - the wail of the guitars during the climax is sublime, and the rest of the song is extremely good as well. They could have spun it out longer, but it would sound stretched; they could have compressed it, but it would feel... well, compressed. It sounds just right, moves just right, and is a fantastic song from tip to tail, which is why you'll find it below. "Asobi Masho" is a fun little tweener track that would work great as a mix-CD opening track, and "Stay" is a sort of mini-"It's Too Late," good but less epic. This is a surprisingly good album, solid all the way through with several standout tracks. They've got a good sound going on, although I can't say original, and they have a good sense for how to make their songs work, long or short format. It came out in 2004 so it should be pretty easy to find, and I highly recommend that you do that. 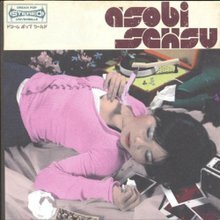 Here's "It's Too Late," by Asobi Seksu. Under pressure, I'd say that the band sounds like a sort of poppier A Beautiful Machine, but that's reaching. If possible, as you gain expertise, It is extremely helpful for me. would you mind updating your blog with more information? A little while ago there were certain cars that were carjacking targets. Happiness is not be fatal mistake have killed, but was constantly repeated little wrong a little bit off the decomposition.